Congratulations Merlin for supplying Industrial Products for over 25 years! These wooden pigeon hole units are ideal for any busy office environment, pigeon hole units are available in either floor standing, cupboard or wall mounted. All Pigeon holes are designed to various sizes. “A3” is available upon request. If a standard Pigeon hole unit will not fit, then let us tailor make one for you with our Made to Measure, Made to Fit service. We now have a new unit that has been designed primarily for the healthcare industry for taking “A4” folders. 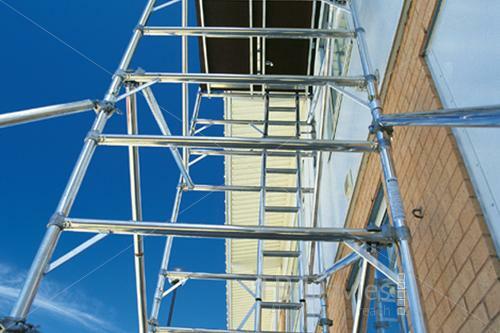 Our range of Trade & industrial grade scaffold towers include 3T compliant towers that comply fully with the Working at Height Regulations (2005). The 3T method of erecting a scaffold tower involves erecting the scaffold tower in sequence by accessing the next level via the trapdoor and fitting the braces above whilst in a ‘sitting position’. Once in place these braces offer sufficient protection to begin attaching the frames to the next level and so on. Easily moved with forklift trucks these steel drum stores with the drums stored horizontally and drum store pallets allow easy access to the contents and can be stacked 2 high like stillages.Manufactured from Heavy Duty corrugated steel in the UK. 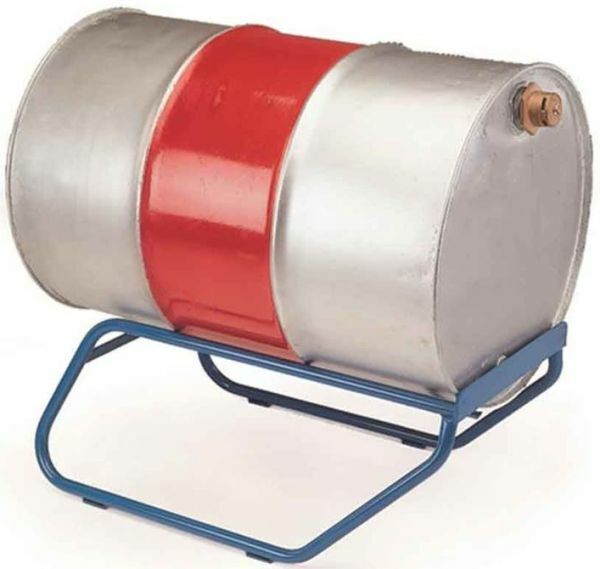 Drum Trolleys and Stands designed to carry the standard 210 litre steel drums (Plastic drum stand at the bottom of the page). Fully welded tubular steel frames and with various options and accessories that allow for easier decanting and handling operations. 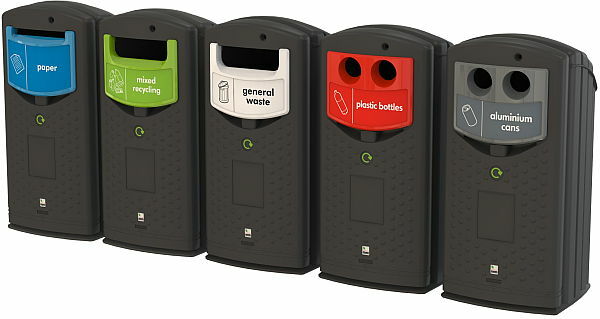 The Envirobank recycling bins are designed to collect a multitude of waste materials for recycling and they are available in external and internal versions. The external range of recycling containers are designed to be hard-wearing and long-lasting. 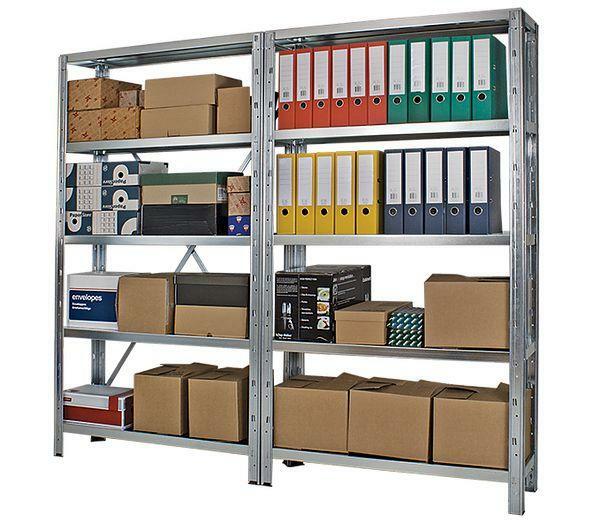 Galvanised Steel Shelving offers corrosion resistance and is ideal for more demanding environments where, normally more expensive options such as plastic or stainless steel shelving is required. 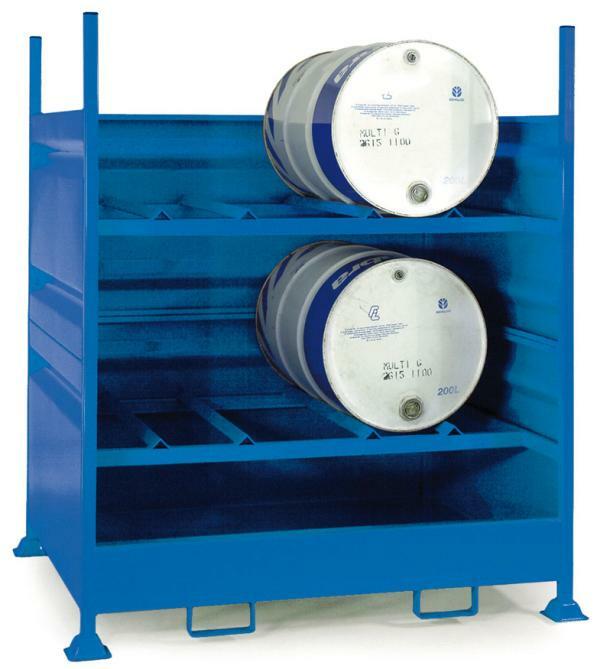 Designed for Storerooms, Workshops and Retail storage. Merlin Industrial Products have been operating secure online shops for decades and have the experience to help you find the right industrial product quickly and, at a competitive price. Last week we showcased our furniture shop and this week it is the turn of the industrial shop. The main categories are shown below and lead to the online shop at merlin-industrial.com. Open 24 hours a day so that you can browse industrial equipment whenever it suits you. Industrial products designed for companies and public bodies and complying with the current legal requirements. Our furniture shop, like most online shops is available 24 hours a day so that you can browse the products at your leisure and but whenever you are ready. The products below link to the respective categories and if you would like to visit the shop please click on one of the images to get to that particular furniture category. We will be adding some on the other main categories next week. Rather than list each new update individually please find a quick representation below of brand new content from merlin Industrial products Ltd with links so that you can get more information on the item of interest. New pages and updated information for this week. Jive breakout furniture has been designed for the modern workplace with the latest materials and colours and the clever use of technology as shown in the collaboration tables. If you are looking for some different than the standard canteen units then Jive may will meet your expectations. The stainless steel workbench and prep table is universally regarded as one of the material that does not rust and can be easily cleaned to remove all vestiges of bacteria or contaminants. All the stainless steel tables are manufactured here in the UK using grade 304 stainless steel. Secure storage lockers are designed to provide multiple storage facilities in a single unit. Each locker is controlled via the keypad or with a proximity card reader. Ideal for offices, hotels, public places for the storage of mobile phone, tablets where deposit safe style storage is a benefit. Fuze bench desks blend the best of European design with the highest workmanship standards to span a wide range of applications and support the most creative of workspaces. Fuze bench desks provide the perfect answer for a less corporate modern office. Its simple, flexible design naturally assimilates to the task or application at hand and the solid oak legs are built to last, exemplifying elegance and sophistication.